The Douro River which is one of the symbols of the Iberian Peninsula is 60 percent dry. The snow, that by now should be covering the landscape above 2,000 meters has been replaced by temperatures of over 25ºC. It’s a situation which has become critical – for Spain’s economy, for growing food, for living. In Portugal the driest October in 20 years has triggered a government-backed campaign. 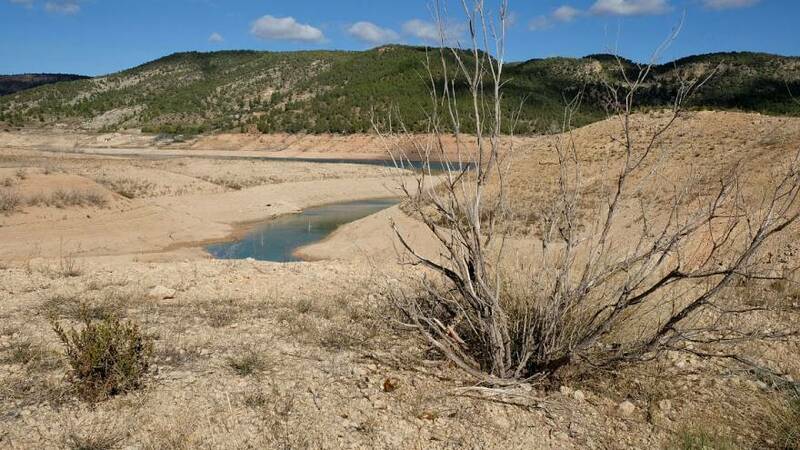 It has published in the press an announcement that calls for saving water, at a time when the whole country is in severe (24.8 %) or extreme drought (75.2 %). An advert calls for “One minute of your attention,“warning that “a tap open for one minute can expend 12 litres of water”. Portugal’s Environment Agency and the Water and Waste Services Regulatory Agency (ERSAR) pointed out that according to the United Nations, “a human being needs 110 litres of water per day”. The campaign will also go on TV and Radio. And it is more than just a hosepipe ban – clean drinkable water is now having to be delivered by tankers to an increasing number of communities across the country. Suddenly what was once thought to be a problem confined to the third world has arrived in southern Europe.